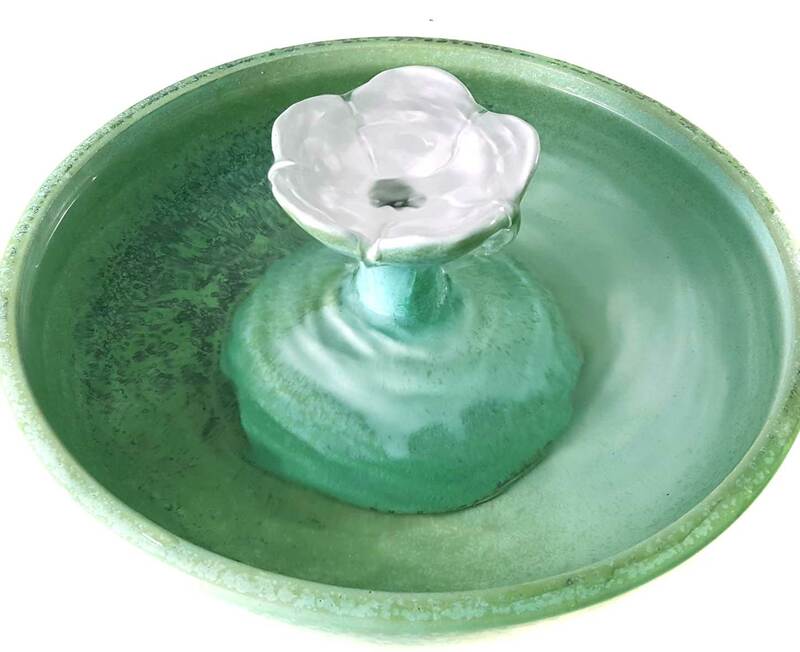 This charming cat fountain is glazed in Spearmint with Cream on the flower, both over tan stoneware. Water bubbles up into the blossom and trickles from the petals with delicate water sounds and no splash. 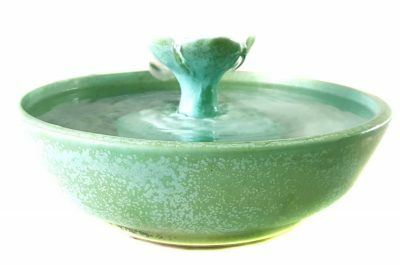 Your cats can drink from the blossom, the trickles and the bowl. 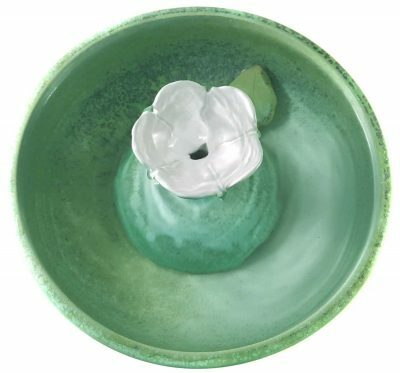 * 3.5 inches high and 10.5 inches in diameter.